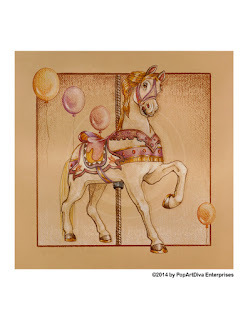 PINK PASSION CAROUSEL HORSE is a print of my original colored pencil drawing of a beautiful white carousel horse with a golden main and a saddle and bridle of deep fuchsia, soft pinks, tans and browns with a hint of tangerine. The background is soft warm creams and tans and has four floating balloons in complementary colors. 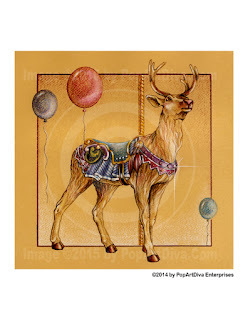 Image © 2015 by PopArtDiva Enterprises. All rights are reserved. 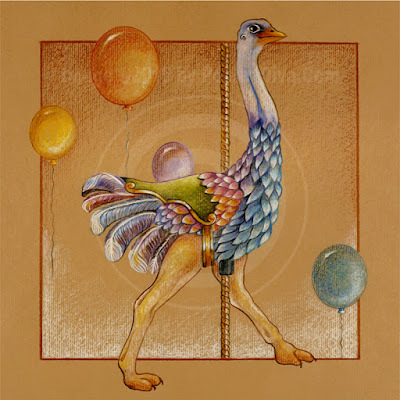 CAROUSEL OSTRICH is a print of my original colored pencil drawing of delightfully merry blue and lavender ostrich strutting on the Merry-Go-Round sporting a saddle of greens with pink and peach feather adornments. The background is soft warm tans and creams and has four floating balloons in yellow, orange, purple and turquoise. The ostrich is a ratite - a flightless bird - and it is the largest of it's kind on earth! 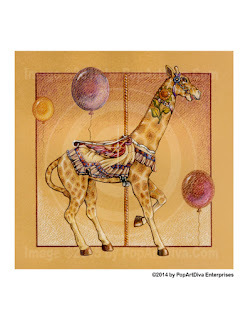 CAROUSEL GIRAFFE is a print of my original colored pencil drawing of a everybody's favorite long necked wild animal, a playful Giraffe prancing on the Merry-Go-Round all decked out in a necklace of a bright sunflower with a cream, lavender, purple and fuchsia saddle and bridle. The background is soft warm tans and creams with a deep magenta accent and has three floating balloons in complementary colors. 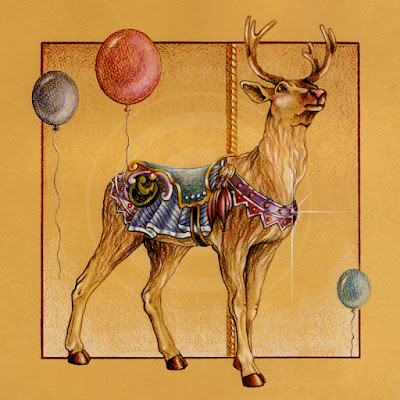 CAROUSEL CARIBOU REINDEER is a print of my original colored pencil drawing of a majestic merry-go-round reindeer with a saddle and blanket of blues, turquoise, purples and fuschias against a warm light tan background. 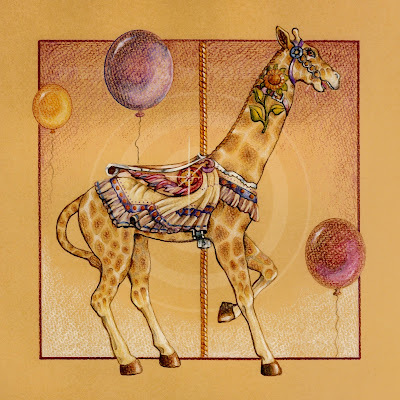 The background has three floating balloons in complementary colors. 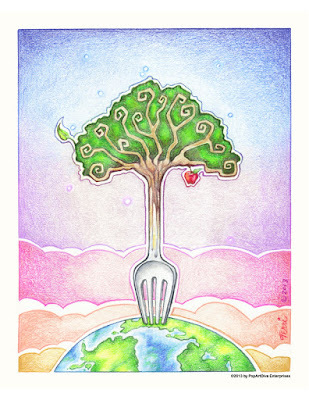 Grow, Cook, Eat Sustainable FOOD TREE is a print of my original colored pencil drawing of a tree turning into a fork that is feeding the earth. An apple and a leaf extend from the branches and float against a sunrise - sunset of dawn to dusk. In a surrealistic style it represents the hopeful future of the food movement and the food industry. This drawing is inspired by the whole farm to table, sustainable food trend, something I'm very involved in as a food and cocktail blogger. (The Diva of Tiny Foods & The Martini Diva) and a tribute to the earth that will feed us everything we need if we allow it to do so! 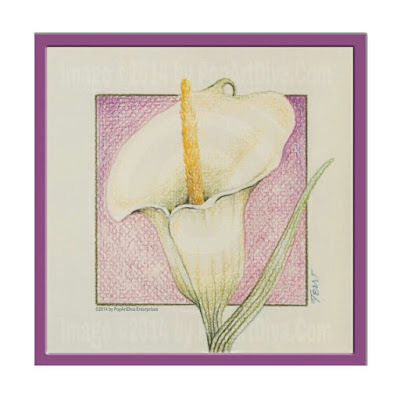 This is an 8-1/2" x 11" print of my original colored pencil drawing with an image size of 7-1/2" x 9" allowing for a border for matting and or framing purposes. This image contains an embedded watermark to protect against digital theft. This watermark will not be present in your print. 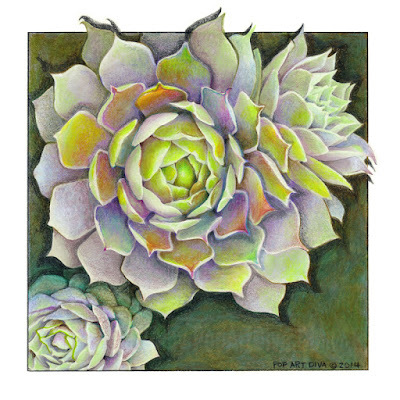 HENS & CHICKS SUCCULENT, an art print of my original colored pencil drawing of Sempervivum, Pacific Blue Ice, one of the common Hens and Chicks species of lovely desert succulents. After moving to Arizona and finding that many of my favorite plants and flowers don't thrive here I discovered succulents and with them a whole world of wild and exotic beauty loaded with colors. I had no idea there was so much hidden richness in plants that could be propagated in a barren desert landscape. I started collecting and growing them and then I started drawing them. I admit to pushing those gorgeous colors a bit more as I draw them - can't help myself it seems, I love color - but they're not pushed in color by much, believe me! These beauties can spring forth in a rainbow of rich desert hues from soft sage greens, to brilliant chartreuse to soft lavenders and pale blues and that doesn't count when they start to bloom! 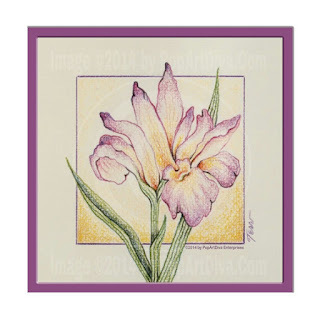 This is an 8-1/2" x 11" print of my original colored pencil drawing with an image size of 7-1/2" x 7-3/4" allowing for a border for matting and or framing purposes. 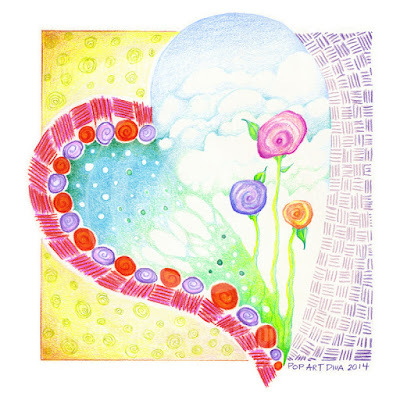 FLOWERS OF MY HEART is a print of my original colored pencil drawing of a trio of fantasy flowers growing out of an organic landscape inside a stylized heart. The pink, lavender and yellow flowers flow over a bank of fluffy daytime clouds on the right which blend into a turquoise and green stylized vista on the left. 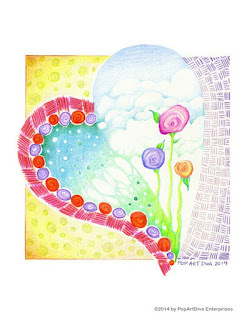 The left of the heart is rimmed with bright red and purple circular spirals, which inspired the flowers and that is rimmed with a hatch work pattern of magenta and orchid. 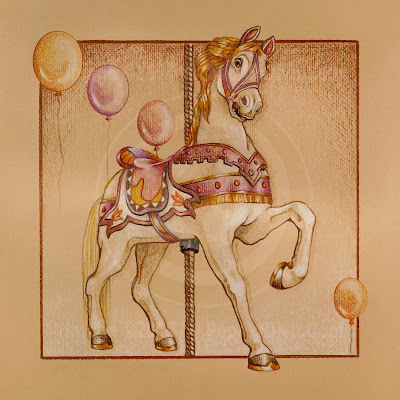 I accented the background with softer, muted peaches and greens dotted with spirals on the right and drew a graduated pastel blue violet crosshatching on the right to repeat the main design theme. Like many of my drawings this one grew into itself. I love allowing a piece to reveal itself to me and surprise me at the end of a creative session. After many years as an illustrator who was boxed into a preconceived concept, it is gratifying and exhilarating to allow my subconscious creativity to flow without restriction. This is an 8-1/2" x 11" print of my original colored pencil drawing with an image size of 7-1/2" x 8" allowing for a border for matting and or framing purposes. IRIS FLOWER, in Evening, is a fully blooming Iris in deep purples, magentas and orchids with accents of warm reds and oranges in the center against a soft graduated warm red to cream background. A faux mat is provided but can be matted off if you wish to match a cut mat to your decor. It is a mate to my IRIS, In Morning, Art Print. I love flowers and have a particular passion for bulb blooms. 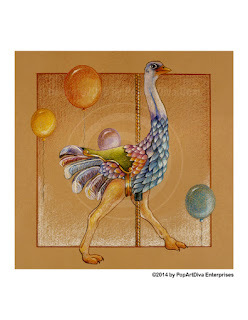 The colors and exotic shapes have always been compelling to my artist's eye. They were bountiful and overflowing in my mother's garden when I was growing up and, to this day, bring back wonderful memories of my mom. 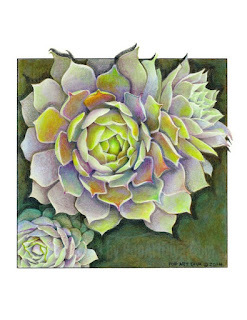 This is an 8-1/2" x 11" print of my original colored pencil drawing with an image size of 7" x 7" allowing for a border for matting and or framing purposes. IRIS FLOWER, in Morning, is a lovely Iris in shades of orchids, magentas and pinks with accents of warm reds and oranges in the center against a soft graduated yellow and peach background. A faux mat is provided but can be matted off if you wish to match a cut mat to your decor. 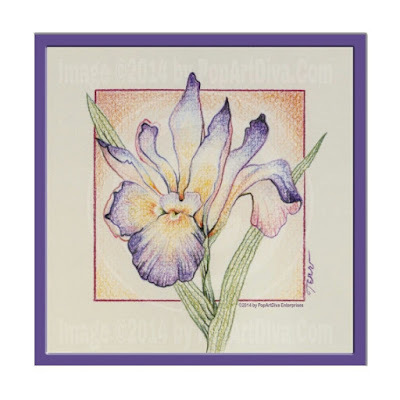 It is a mate to my IRIS FLOWER, In Evening, Art Print. CALLA LILY FLOWER, in Evening, is a beautiful white calla lily against a pink and orchid graduated background. A faux mat is provided but can be matted off if you wish to match a cut mat to your decor. It is a mate to my CALLA LILY FLOWER, In Morning, Art Print.